NuMedica MineralPlex comes in capsule form, and is an advanced multi-mineral formula featuring Albion TRAACS® designed to deliver the supplemental nutrition that the human body needs, but does not always get in acceptable levels. 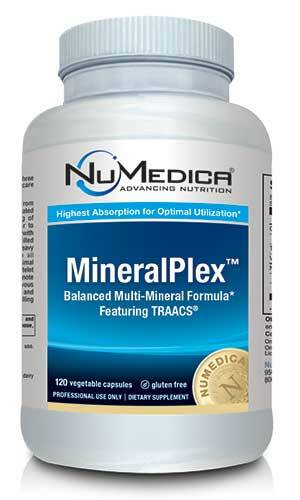 MineralPlex boosts vitamin C, vitamin D-3, calcium, zinc, magnesium, chromium, potassium, and more. NuMedica MineralPlex is comprised of highly balanced formulas aimed at optimizing the absorption properties of each mineral to ensure that there is no competition between the various minerals' absorption rate into the body. NuMedica adopted Albion® Advanced Nutrition, a global leader in the research and development of organic mineral acids, and their patented mineral amino acid, in the production of MineralPlex. Taking four capsules daily, or as recommended by their health care professional, helps users get their recommended daily does of vitamins and minerals. 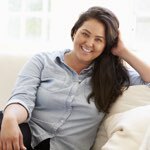 Leading the busy life that most people do, there is little time to guarantee that the human body is receiving the vitamins, minerals, and nutrients that it needs to perform at optimum efficiency. With NuMedica's MineralPlex however, those fears are allayed. Not only does NuMedica's MineralPlex provide beneficial nutrients to help keep the body going, they are engineered to make sure that each mineral and vitamin absorbs into the system without competing with one another. DimaCal, TRAACS and The Albion Medallion design are trademarks of Albion Laboratories, Inc. Malates covered by Albion International, Inc., U.S. Patent 6,706,904 and patents pending.